Do you know that sodium is an important mineral? If not, why do you think we add salt in almost all the foods we eat? Even though we all see salt as just a flavor, it is very important in our day-to-day life. Nobody can live a healthy life by cutting off the supply of sodium completely from their life. However, there is a prescribed amount of sodium which is considered ideal for your body. The sodium level in your body should neither go beyond nor below these recommended levels. This level varies depending on the health condition of people. Those who suffer from high blood pressure problems should try not to consume sodium in excess. Such people should limit their sodium intake to 2,400 mg per day. 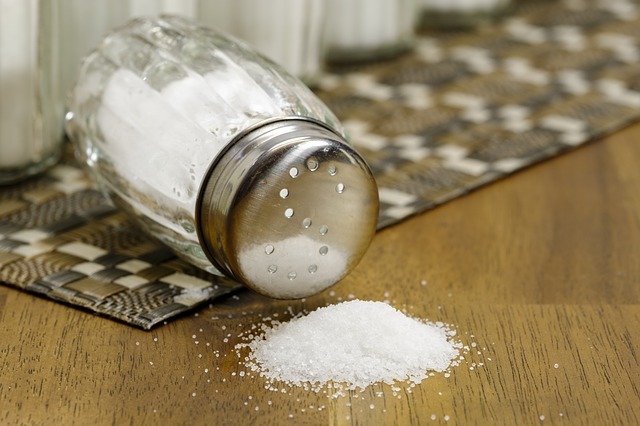 In this article, we will help you understand the importance of sodium in our life. Please take a look at the facts of sodium mentioned below. Global warming is one of the major crisis faced by our world today. The temperature of our planet is rising each day. You also might have heard about a lot of people who have died of sunstroke. This happens due to the loss of salt and water from the body. Due to this loss, the body temperature goes up and hence, might even cause the life of people. This can be reduced to a certain extent by consuming fluids rich in salt content. Even if you are exposed to very high temperatures, you will not feel exhausted if you have enough sodium in your body. Did you know that sodium can help you control your sugar level? Believe it or not, an adequate sodium level in your body will ensure the proper function of insulin. It will also prevent the excess glucose from getting stored in your blood for long hours. Though it is not possible to control Type 1 diabetes, you can control Type 2 diabetes by consuming enough amount of sodium. A lot of kidney problems in people occur due to the lack of sufficient sodium in their body. Sodium also helps to regulate the frequency as well as the content or urination by maintaining the acid-base proportions in our body. We live in a highly polluted environment. As a result, we all inhale a lot of toxic gases including carbon dioxide every day. Sufficient amount of sodium will help to remove this carbon dioxide gas from our blood. In short, it helps to purify our blood by eliminating the toxic gases. Sodium plays a very important role in keeping our hydrated throughout the day. Hence, it is essential for sportsmen to maintain their sodium levels before undergoing rigorous training. It also helps to maintain our heart rate and body temperature during exercise and other sports-related activities. Sodium is considered to be one of the best medicine for reducing stress. It helps to suppress the hormones of stress and thereby helps to soothe your body and mind. With the reduced amount of stress levels, you will also be able to have a good night’s sleep. This is very essential to have a healthy life. Do you often experience muscle cramps after rigorous exercise or training? If so, you should definitely check your sodium levels. If you have enough sodium content in your body, your body will be able to tackle the problem of muscle cramps better. The main reason behind these cramps is the loss of sodium during exercise. The muscle contractions can be maintained effectively with the help of sodium. The main reason behind early aging is the presence of free radicals. If you maintain your sodium levels, your skin will be able to fight these free radicals. Thus, your skin will remain healthy and youthful for longer years. Sodium helps to enhance the functions of the brain. The main symptoms of the lack of sufficient amount of sodium in your body are confusions, laziness, lack of memory, etc. you will not be able to concentrate on your works if your sodium levels are not normal. In short, sodium is a very important element which helps to maintain the functions of our entire system. Without this mineral, it is not possible to lead a happy and healthy life. Hence if you are detected with abnormal sodium levels, make sure that you take all the necessary measures to maintain those levels.